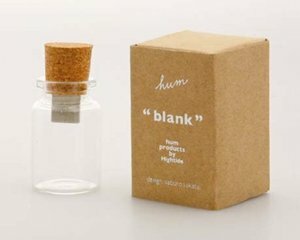 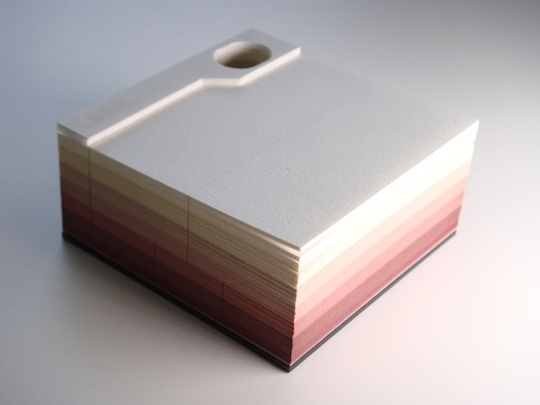 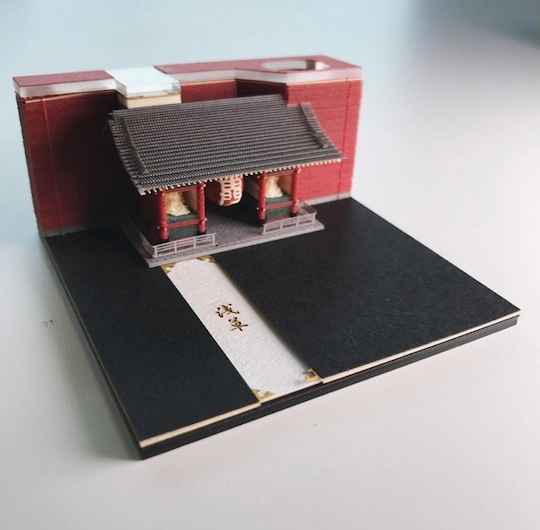 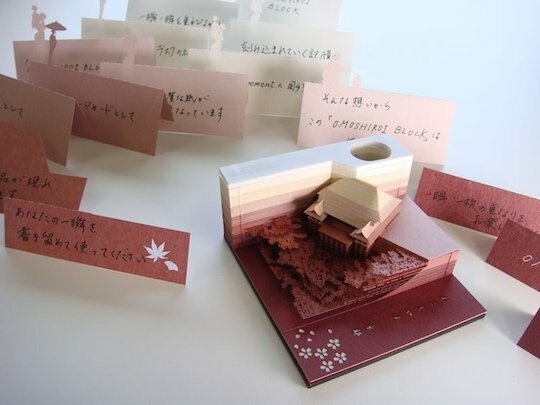 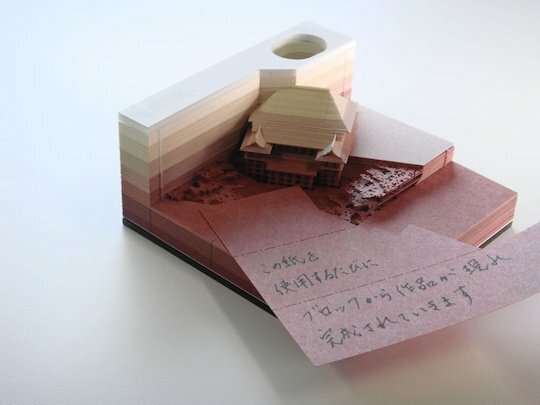 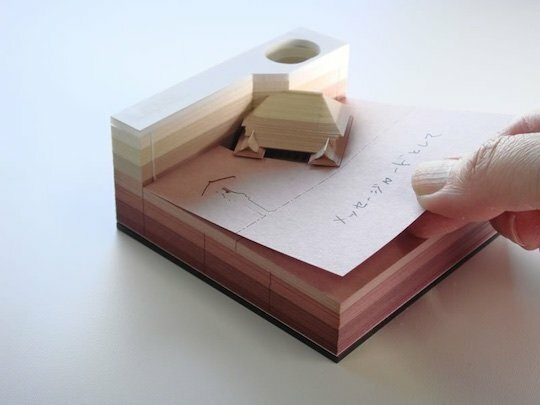 Using the Omoshiroi Block Japanese Landmark Memo Pad by architectural model maker Triad Inc. is like taking a trip around Japan. 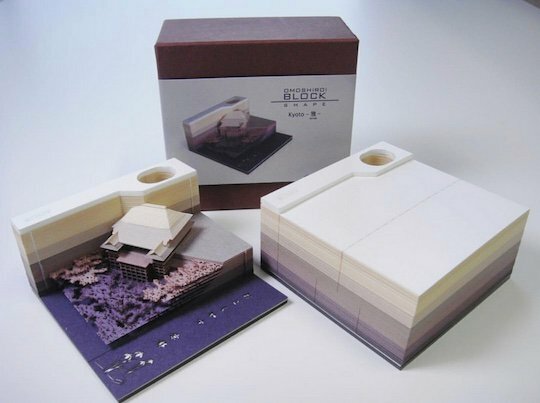 Meaning "interesting (or fun) block," these pads are just brilliant: as you use the sheets, they gradually form different famous architectural landmarks in Japan. 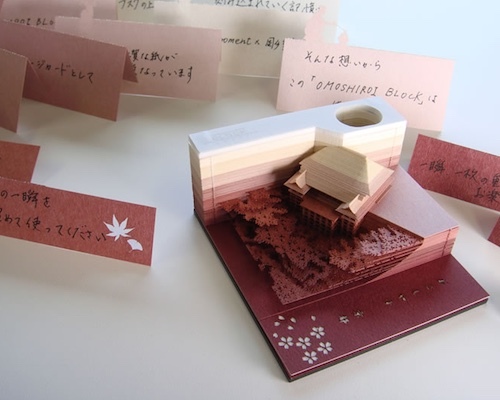 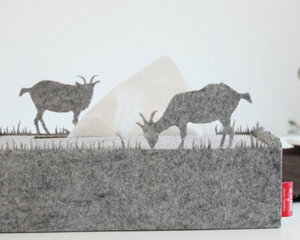 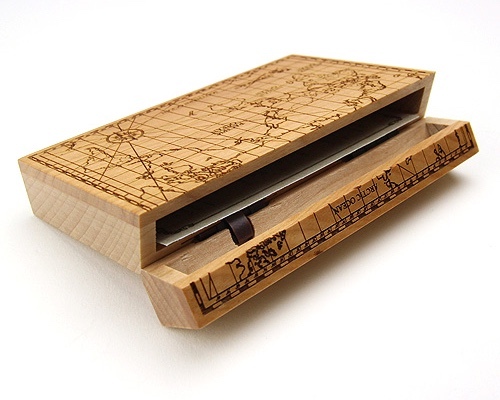 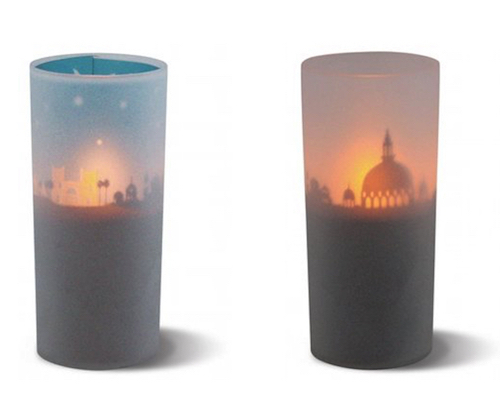 When you are finished with the pad, you are left with a stunning paper model. 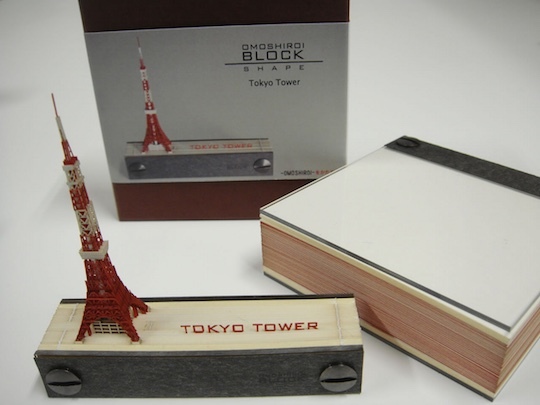 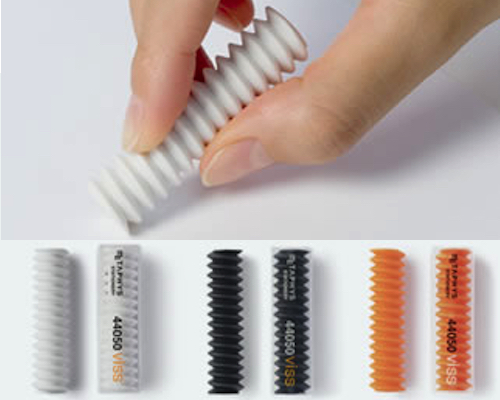 There are three versions: Kiyomizudera Temple in Kyoto, and Kaminarimon or Tokyo Tower in Tokyo.